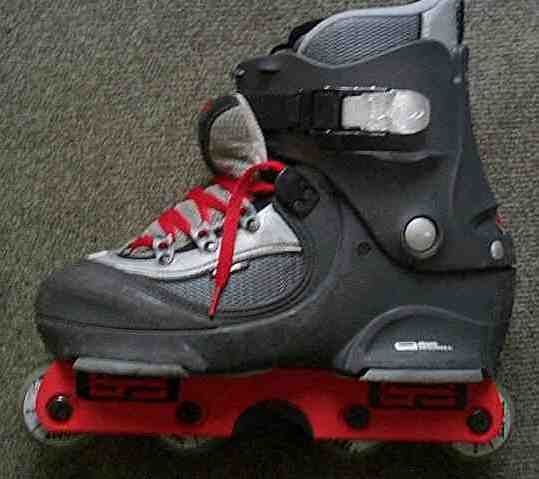 midsoul and standard Trs frames, as well as white laces. padded tongue and red laces. and b/s plate and kryptonics antiroker wheels. As well as Ground Control 2 frames with razor wheels. 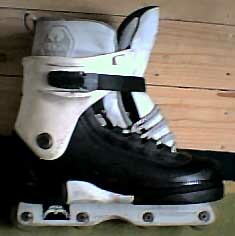 Razor Murdas - With Vinny Minton Able Frame as well as Vinny minton 56mm wheels.